Susan G. Komen Race for the Cure – Put on your pink running (or walking) gear and help raise awareness for breast cancer at this annual 5K. Not a morning person? Stay in your PJs and “Sleep in for the Cure” for $50. Race registration starts at $30 for adults; $20 for children. 6:30am to 10:30am. 7th Annual Houston VisionWalk at Discovery Green – Bring the whole family to this 5K walk committed to changing the lives of those affected by retinal degenerative diseases. Registration is free, but participants are encouraged to donate and/or raise funds for the Foundation Fighting Blindness. 9am to noon. Saturday Tech Club at Wonder-Space Technology Camp in River Oaks – Enroll your favorite kiddo in this eight-week, hand-on learning tech program. Ages 7 to 13 are welcome at these weekly sessions devoted to creativity, exploration and entrepreneurship. The weekly camp begins this weekend. 9am to 1pm. Big Event 6 at Gillman Subaru of Houston South | FREE – Enjoy rock wall climbing, bungee jumping, a skate board exhibition on a half pipe and obstacle course, a huge video game truck, face painting, personalized caricature artists and a collection of fine cars. You can also meet pro drivers Sverre Isachsen and Bucky Lasek and score their autographs. 9am to 5pm. Houston Fire Fest in South Houston | FREE – Support the Houston Fire Department at this festival that benefits Firefighters Helping Firefighters. Bring the kids for a day that includes fire demonstrations, a kid’s zone, antique fire trucks and a BBQ cook-off. 10am to 5pm. Pumpkin Patch and Fall Festivities at Blessington Farms – It’s time to embrace fall at the first of Blessington Farms’ weekly fall festivities. 10am to 5pm. Afloat! A Parade on Water on Buffalo Bayou in Downtown | FREE – Head to the shores of the Bayou to see this spectacular procession of Dragon Boats, kayaks, fishing boats and other floatable modes of transport. The parade starts at Allen‘s Landing and travels to Houston’s East End. 11am to 1pm. Venezuela en Danza at Miller Outdoor Theatre | FREE – Enjoy a performance of traditional Venezuelan music and dance in Hermann Park. 11am. First Saturday Arts Market in the Heights | FREE – This monthly outdoor fine arts event showcases paintings, jewelry, sculptures and photography from dozens of visual artists. Houston group Charlie & The Regrets perform at 3pm. Enjoy treats from food truck Les Ba’Get. 11am to 6pm. Buffalo Bayou Shrimp Festival | FREE – Celebrate the shrimp harvest by listening to live music from a variety of artists while you munch on local shrimp and sip Karbach brews. The day will be complete with a cook-off and filled with plenty of games and activities for the whole family. Noon to 6pm. Guided Tour of Wings of the City at Discovery Green | FREE – Learn about Jorge Marin’s bronze sculptures that are showcased throughout Discovery Green with this guided tour. Tours are available on the first Saturday of every month through February 2015 – meet in front of the Information Center to join. 1pm. Zine Fest Houston 2014 at the Houston Printing Museum | FREE – Discover the alternative media scene at this unique event dedicated to promoting small press. 2pm to 8pm. When Wood Met Design Opening Reception at Archway Gallery | FREE – See the debut of this unique exhibition and collaboration featuring works from painter LeeAnn Gorman and wood turning sculptor Paula Haymond. 5pm to 8pm; artist talk at 6:30pm. Evenings on the Esplanade at Navigation Boulevard | FREE to attend – Stroll down the Esplanade, or grab a seat and enjoy the crisp fall weather at this weekly gathering in the East End. El Burro and the Bull will be serving great barbecue and be joined by several food trucks and vendors. 5pm to 9pm. Extreme Meltdown Drag Racing at Houston Motorsports Park – Head to the track for your drag racing fix. Tickets start at $24, but you may find cheaper or better seats on TicketNetwork’s resale market. 5pm. 25 Years of Uncle Charlie’s Art in Mid-Main – Join Charles Frank Hardwick at Mid-Main to celebrate 25 years of Houston music with his concert poster art. 5pm to 9pm. Rice Owls vs. Hawaii Warriors at Rice Stadium – The Owls host Honolulu’s University of Hawaii. Tickets start at $29, but you may find cheaper or better seats on TicketNetwork’s resale market. 6pm. Justin Garcia’s 7:Unlayered Opening Reception at Silver Street Studios | FREE – Popular Houston artist Justin Garcia will debut seven new pieces at this special evening event. 6pm to 9pm. Zac Brown Band in Concert in The Woodlands – The Rodeo favorite returns to Greater Houston for a show at the Cynthia Woods Mitchell Pavilion. You may find cheaper or better seats on Ticket Monster’s resale market. 7pm. 1000 Lights for Peace at Jones Plaza | FREE – Make a commitment to peace at this festival of dance, music and art. Join with others in Houston and those around the world as the event comes to an end with a candle lighting ceremony. 7pm to 9pm. Fab 40 Beatles Cover Band in Concert at Discovery Green | FREE – Sing along with the Fab 40 as they perform the Beatles’ classic album Revolver. 8pm to 10pm. So You Think You Can Dance? at Bayou Music Center – Watch the top 10 dancers from Season 11 of So You Think You Can Dance as they perform in Houston – the third stop on their live tour. Tickets start at $65, but you may find cheaper or better seats on TicketNetwork’s resale market. 8pm. 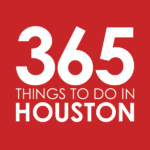 More Great Things to Do All Weekend Long – Some of the biggest things happening in Houston this weekend are happening all weekend long. Bayou Bikers at Market Square Park | FREE – Grab your two wheels and join the Bayou Bikers on a 25- or 40-mile bike ride exploring Houston’s trails and bayous. 8am. Yoga in the Gardens at Rienzi | FREE – Calling all Yogis to the Rienzi Gardens for a yoga class accompanied by live music. A tour of the Rienzi house and gardens will be available for guests after the class. 9am to 10:30am. Houston Kidney Action Day at Discovery Green | FREE – Fight kidney disease with a day of healthy food samples, kidney screenings, fitness demos, prizes and the Kidney Action Day Walk. 10am to 3pm. The Market At Mid-Main | FREE to attend – Shop this seasonal outdoor market to find unique art, vintage clothing, paper goods, home décor and more. Bring the family and enjoy live music, food and crafts. 10am to 4pm. Segway Outback at Katy Mills – Lean to drive on two wheels standing up and drive into one or more of nine Segway obstacle courses at this indoor playground at Katy Mills. Discounted adventures for a limited time. Sarah Chang Plus Copland at Jones Hall – Experience the music of the woman who made her debut at the New York Philharmonic at the age of eight. Korean-American violinist Sarah Chang will perform a body of work that includes Copland’s Symphony No. 3 and Al-Zand’s City Scenes accompanied by the works of Houston-based photographer Libbie Masterson. Tickets start at $25. 2:30pm. Fall Art Series at CityCentre | FREE to attend – Get your Holiday shopping done early at the annual Fall Art Series where local artists will showcase unique creations ranging from paintings and cards to soaps and jewelry. 3pm to 6pm. Baroque Music Sunday at Rienzi – Enjoy a concert of music from the 17th century by international artists Erik Schmalz, Mimi Mitchell, and Christina Edelen. A reception will be held following the recital. $30 nonmembers; $25 members. 3pm to 5pm. Houston Polo Club’s Houston Cup at Memorial Park – Dress sporty for a Sunday polo match tucked inside Memorial Park at this event match sponsored by Cartier. Premium tickets start at $60 but you can get two tickets for $33 for a limited time. 5pm. Love Me Do! Songs of the 60s at Miller Outdoor Theatre | FREE – Sing along with the Houston Chamber Chior to songs from the 1860s and 1960s at Miller Outdoor Theatre. 8pm. Is your favorite event missing from our list? Add it in the comments below!